Baan Kaja is a gated private villa featuring a large swimming pool surrounded by garden and terrace. Located between Bang Tao Beach and Surin Beach you can take a stroll to the ocean, shop and try different restaurants within a 10 minute walk. The villa has a garden and swimming pool. There is a lounge area by the pool and also a barbecue to enjoy under the covered open air patio. The western style kitchen is equipped with burners, electric kettle, rice cooker and oven. We can also hire a cook or maid upon your request! On the ground floor there is an indoor dining area and also a counter in the kitchen for a quick bite. In the afternoon you may want to chill in the luminous lounge area, the living room flat screen TV has cable to watch movies or international tv channels. We have a brand new pool table! and many board games. 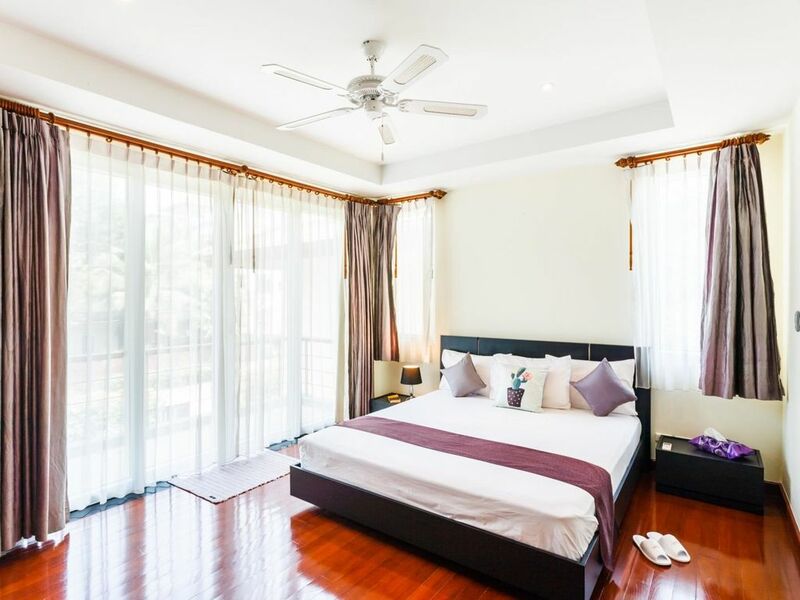 On the upper floor the bedrooms are decorated in modern style, there is 1 ensuite bedroom and 2 other bedrooms with adjacent bathroom. The master bedroom has a private balcony as well. The entire house has ceiling fans installed and the integrated air-con system has separate remote controls for each room. In the laundry room next to the kitchen there is a sofa couch that sleeps another person, a washing machine and dryer are available and an additional downstairs toilet. There is also a covered car-port for parking. We advise to get a sim card upon arrival at Phuket airport to have a Thai phone line. This will make your vacation easier, you may also download the app “Grab” to book taxis in Phuket island.